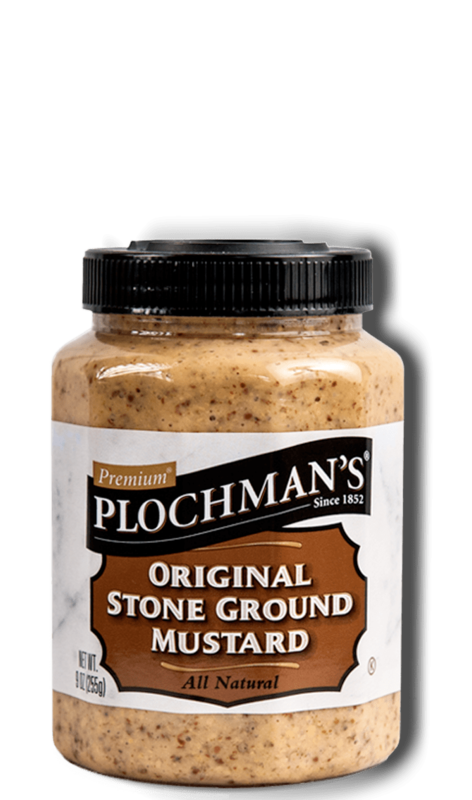 Plochman's Creamy Tarragon Chicken & Mashed Potatoes starts with boneless chicken breasts and coats them in a mix of Deli Dijon Mustard and Original Stone Ground Mustard. In a large skillet, heat oil over medium-high heat. Add chicken and sauté until cooked through, about 10–12 minutes. Transfer to a plate and cover to keep warm. Add minced shallots to the skillet and stir briskly. Reduce heat to medium-low and continue stirring for 30–40 seconds. Add chicken stock and cook for 3–5 minutes. Whisk in cream, mustards and tarragon. Whisk for 5–6 minutes, or until thickened. Remove from heat. On a warm platter, spoon hot mashed potatoes down the center. Cut warm chicken breasts into thick slices and arrange on mashed potatoes. Right before serving, spoon cream sauce over chicken and top with parsley.